Good news. Italy is the second healthiest country in the world after Spain, according to the Bloomberg February 2019 Healthiest Country Index that ranks 169 countries worldwide. The USA ranked number 35. The index grades nations based on things life expectancy and subtracts points for risks such as tobacco and obesity. Environmental factors are also considered. The report also highlighted that the number of people living past 100, has tripled over the last 15 years! There are almost 20,000 Italians over this age. This has drawn the attention of scientists around the world who have studied the Mediterranean diet along with genetic studies as well. The island of Sardinia is Italy’s only “blue zone,” a term used to describe an area with an exceptional number of people over 100. A Sardinian diet is a perfect example of a Mediterranean diet, based on local produce, high in legumes and pulses. The research has also shown that the regional Canonnau red wine and local cheeses are also factors for the longevity of these people. 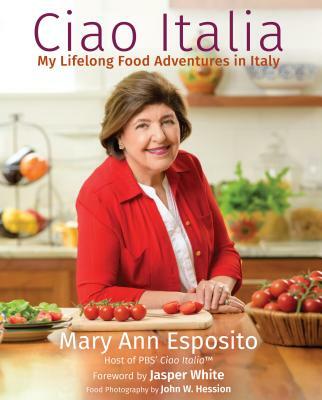 Many of the foods of the Mediterranean diet and how to use them are very much present in my latest book CIAO ITALIA (My Lifelong Food Adventures in Italy) and it proudly displays the Mediterranean Diet Pyramid within its pages and inside the back cover. It just might help you to cook better and live a better life.